In a unanimous decision, the court upheld defining equalization payments as debts, meaning they are wiped off a person's slate on a declaration of bankruptcy. It also means an ex-spouse owed such a payment can no longer receive it. Equalization is a system of evening out the net worth of couples by placing a dollar value on their assets and having the spouse worth more compensate the one worth less. Not every province uses this system; others physically divide the actual assets. The case of Schreyer vs. Schreyer involved a Manitoba couple who separated in 1999. 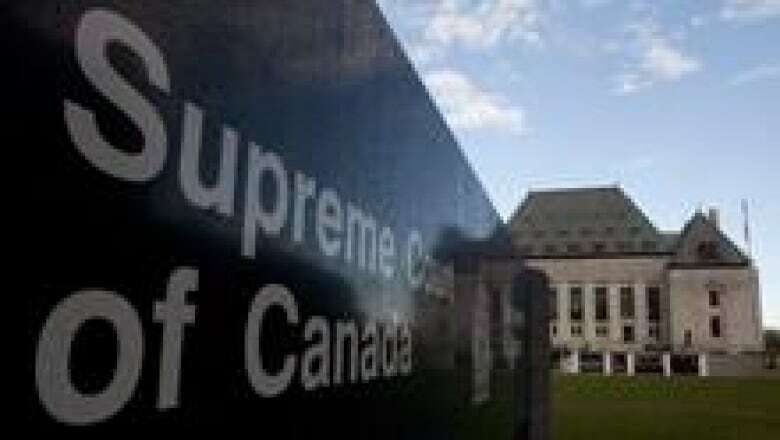 The evaluation of their assets wasn't completed until 2007, when the court decided she was owed $41,063.48 on the basis of the value of the family farm. But in 2002, while the nuts-and-bolts of the Schreyers' deal were being hammered out, the husband had declared bankruptcy. Some assets — such as family farms and pensions — are protected in bankruptcy, so someone officially declared bankrupt could still be worth money. The ex-wife claimed she didn't know her ex-husband had filed for bankruptcy, so didn't use available legal avenues to ensure her stake was protected. As a result, he got the farm and her equalization payment was deemed by lower courts to be worth nothing. "I do not doubt that an outcome like the one in this appeal looks unfair, given that the appellant's equalization claim was based primarily on the value of an asset — the farm property — which was exempt from bankruptcy and therefore not accessible to other creditors," wrote Justice Louis LeBel. "Parliament could amend the [Bankruptcy and Insolvency Act] in respect of the effect of a bankruptcy's discharge on equalization claims and exempt assets. But the absence of such an amendment makes the outcome of this case unavoidable." The court found the existing law is clear that equalization payments are considered debts, as they are monetary in nature even though a court can order a physical asset be transferred as compensation. Still, bankruptcy law doesn't allow people to avoid payments such as alimony and child support. "Although it is of equal importance, a claim under an equalization of property scheme cannot be considered to constitute support," LeBel wrote. Lawyers for the Manitoba woman involved in the case had argued it should. "Both support orders and equalization orders are aimed at defeating the role that divorce plays in the feminization of poverty," they wrote in their submission to the court. In the decision, LeBel pointed out that a 2003 Senate committee did examine the issue and recommend the act be amended. "More than seven years have elapsed since the committee issued its report," LeBel wrote. "It seems to me that this matter is ripe for legislative attention so as to ensure that the principles of bankruptcy law and family law are compatible rather than being at cross-purposes." Alain Hogue, one of the lawyers for the woman involved in the case, said he was disappointed by the ruling but welcomed the judges' call for change. "I was, quite frankly, a bit surprised and a bit disappointed," he said. "We had hoped that the Supreme Court would fill this void." "Hopefully the act will be changed and people like her will not be suffering unjustly in the future." But the lawyer for the Manitoba man who declared bankruptcy said there is a good reason to exempt assets such as farm properties. "The Banktruptcy and Insolvency Act permits an honest but unfortunate debtor to obtain a discharge from debt so that he or she is able to reintegrate into the business life of the country, and that's what occurred here," Gerald Ashcroft said from his Winnipeg office. While the decision upheld the status quo, one family lawyer said it actually provides some help to people who are caught in a similar situation. Lawyer Andrew Feldstein said the judgment suggests lower courts could take deals voided by bankruptcy into account when determining spousal support. "It's a logical course of action that lawyers can raise with their clients," Feldstein said. The Toronto lawyer said initially he was scratching his head over the court's decision to hear the case, as the legal issue seemed pretty clear. "But the judgment sent a message to Parliament that we think there is a need to fix this problem and they are giving solutions," said Feldstein. "I think they wanted to voice their opinion."